The folks over at Wyrd Games are always creating. Always busy cooking up an angle, working on the tiny blueprint of the angle, sketching out the burning autumn leaves. 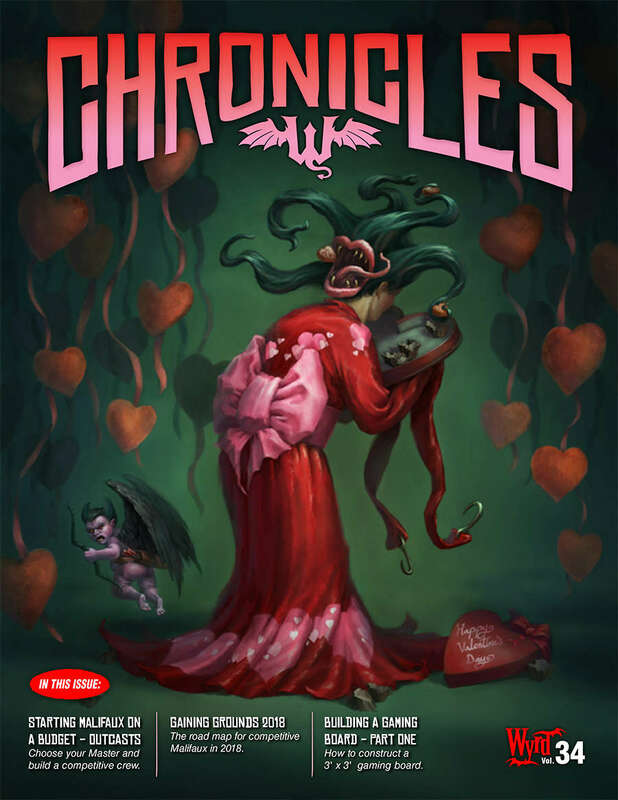 To help you keep up, as well as adding even more to their elaborate game world, there's Wyrd Chronicles, their regular magazine. Issue 34 is available now. It's free, so there's no real reason to not check it out. Wyrd Chronicles Vol. 34, for your reading pleasure! Starting Malifaux on a Budget – the Outcasts: Need to build a new crew on the cheap? Get top-notch advice about putting together an Outcast crew! A Look into GG2018: A quick rundown of the newest Gaining Grounds document and what to expect. Iron Painter 2017: Check out the winners of last year's Iron Painter. Building a Gaming Board - Part One: A hobby article looking at building a winter-themed game board. Elements of Matrimony: A Through the Breach one-shot adventure involving a wedding and the planner getting arrested. What Lies Beyond: Two famous Earthside explorers find out what it's like to go into the wilds of Malifaux. Be Mine: A Malifaux story encounter for finding true love for up to 4 players.